Do you want to view your Strava timeline on your wrist? Dish out Kudos with the push of a button? 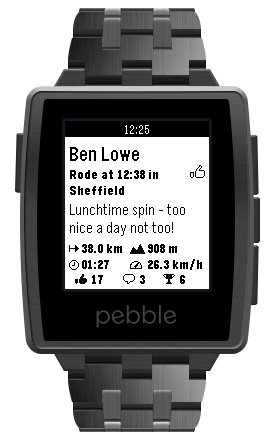 Then get yourself a Pebble smart watch and the VeloViewer app. View the last 30 activities of your friends, drill in to view more details and then dish out the Kudos.